Releasing your starter? You're the worst kind of person. @ archiethesailor, in high school a friend and i made special rules we had to play the game through. 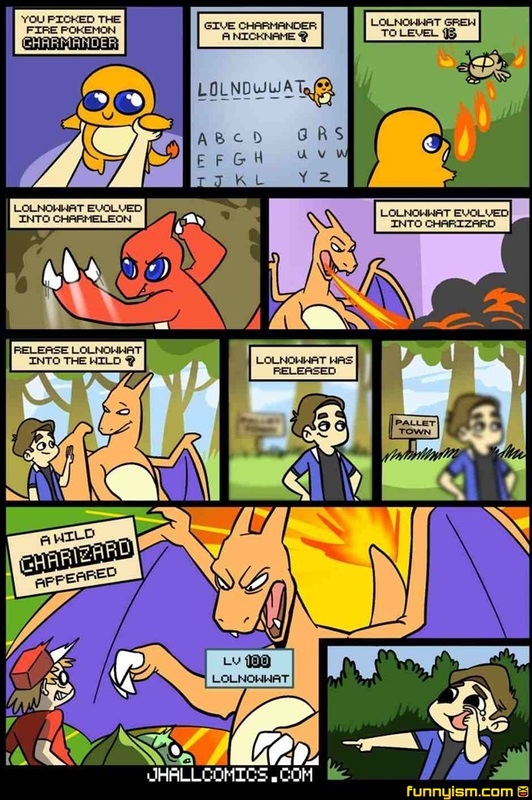 One of his rules was that we had to release our starters right when we got a second pokemon. It honestly makes the game more fun because then you have to use a pokemon of that type that you ordinarily would never use. Arcanine is just as badas as Charizard imo. @ archiethesailor, Seriously. We're not twitch. @ archiethesailor, I mean seriously, look at those eyes in the first panel. @DeathGun, haha, I wish. Thanks man. Lol, u Died, or in this case, whited out! @CrazyManInaBox, I think the game would make an exception and just have you and your Poke'mon die.